So like every other female between the age of 18 and 80, I am in love with Pinterest. I am a scientist by nature and LOVE experiments. Pinterest gives me millions of theories to test out. Case in point? This bad Larry right here. Meet Chocolate Cream Cheese Breakfast Cookies from Cookies and Cups. They are so yummy and so easy, you won’t even believe it. I will definitely be adding these to my arsenal of goodies to bring to parties and have people compliment me on my excellent culinary skills and me be all “Oh, well, it wasn’t too much trouble”. 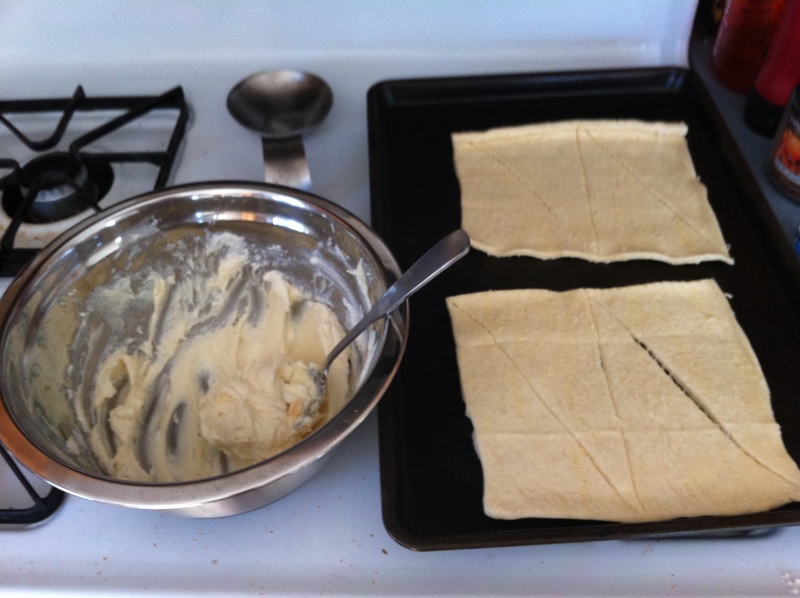 Warm cream cheese to room temp (so you can mix it) and mix in sugar and vanilla. 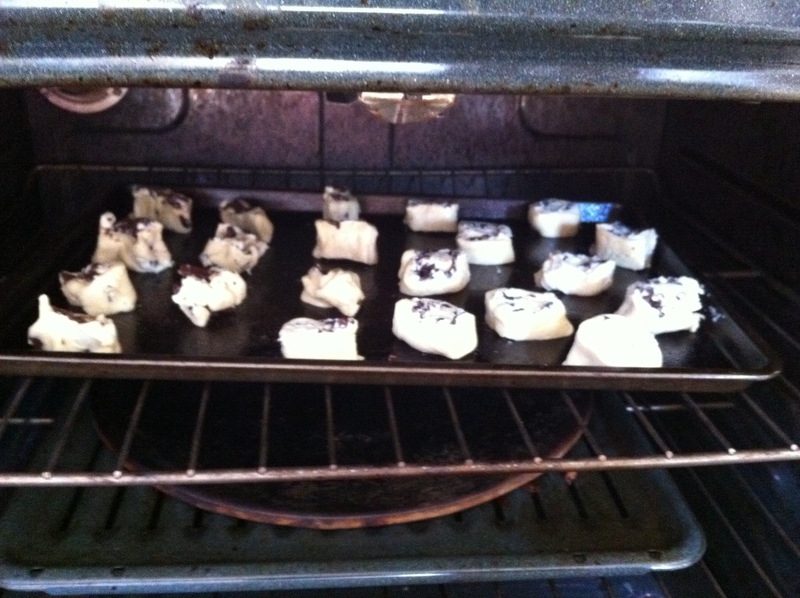 Spray a cookie sheet with Pam or grease. Roll out the dough. 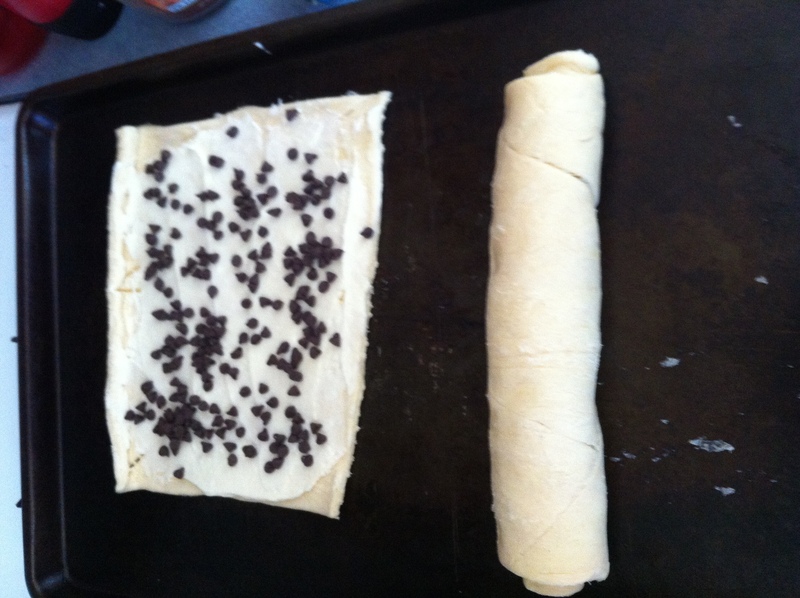 Spread cream cheese over dough and sprinkle chocolate. (I also used Lindt chocolate in chunks and it came out FREAKING AWESOME). 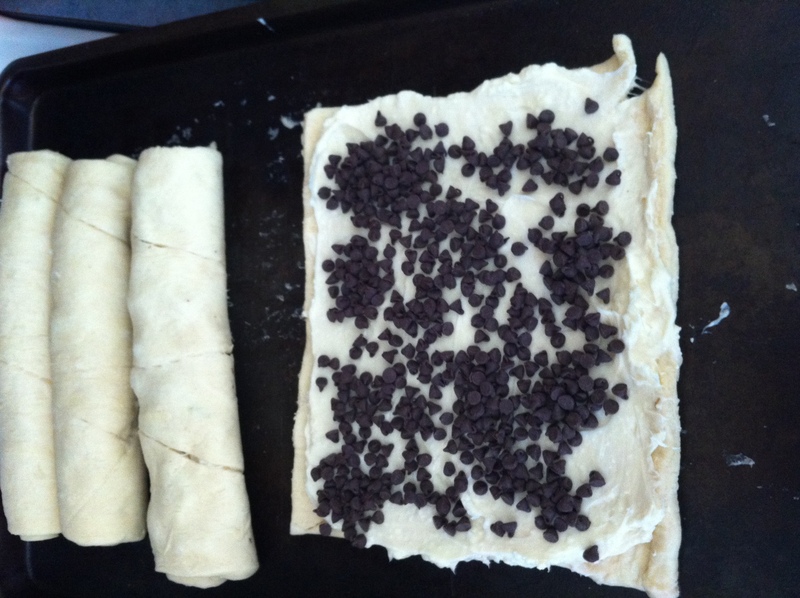 Roll up the dough (super easy because it was just in that same shape in the container it came in). The website calls for the dough to be chilled. I did not do this. You don’t have to but it is way easier to cut if you do. 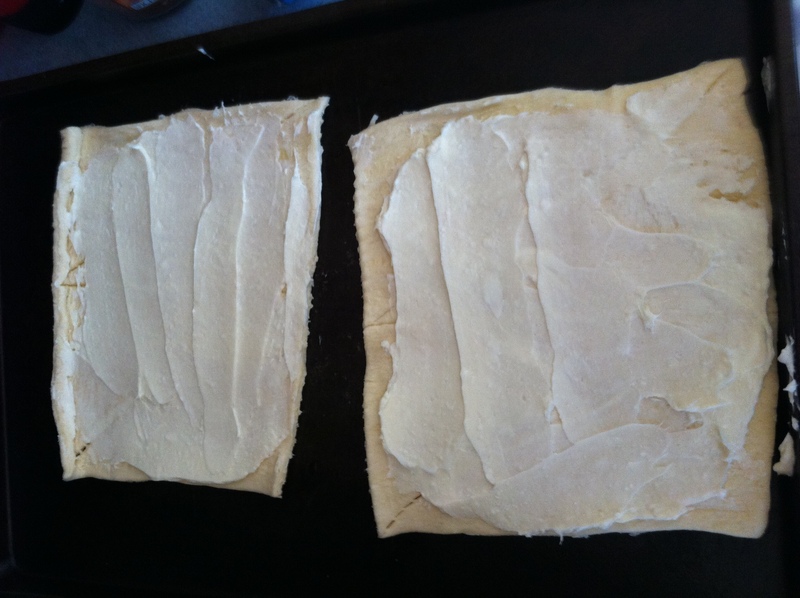 Cut dough in 1/4″ slices and lay out on cookie sheet. The website calls for parchment paper. I’d use this as they would probably come off easier. You can just twist the cookies off if you don’t use the paper. Seriously, these were very tasty. I deem this experiment a huge success. 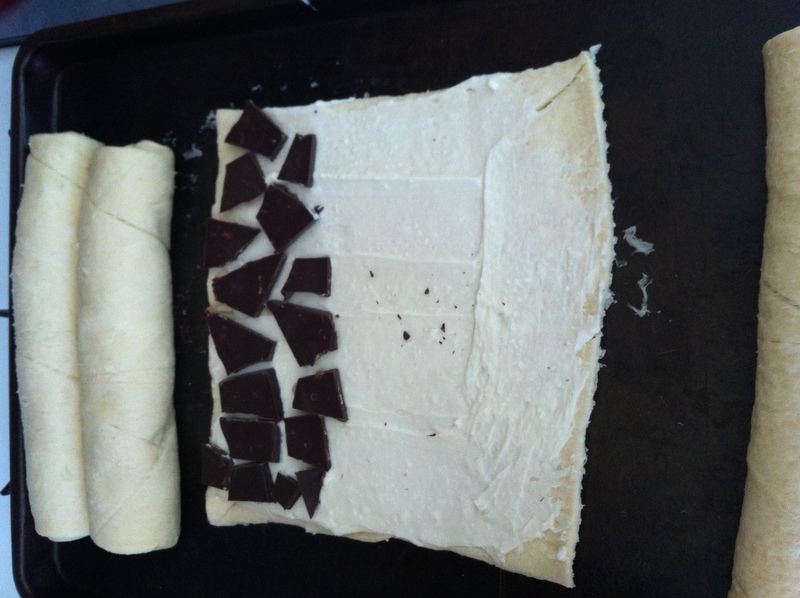 I also have seen a bunch of different cheeses and meats and sauces rolled up in the Crescent dough… the possibilities? Endless. Reblogged this on Recipes I Adore.